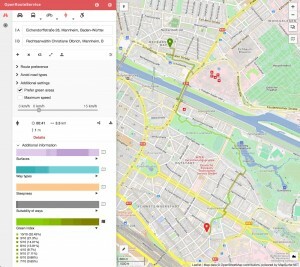 For testing purposes this specific feature which is targeted towards urban areas is currently restricted to Germany only (similar to other experimental prototypes at the brand new labs.openrouteservice.org). This feature is still experimental, as the results vary strongly with the calculation of the weights for the green score. The latter depends both on the way of preprocessing and algorithms, as well as the data completeness of the green area data in OpenStreetMap. So expect some interesting results sometimes. Yet, the first route computations look often quite reasonable and promising. But of course this is a subjective measure, as different people will prefer different settings and accept detours of different lengths in favour of a greener or more healthy route. So there is much need for further research and development. We will be working on giving the user the option to interactively change the weighting in a more dynamic and fine-grained manner than it is possible at the moment in order to truly personalise her tour. 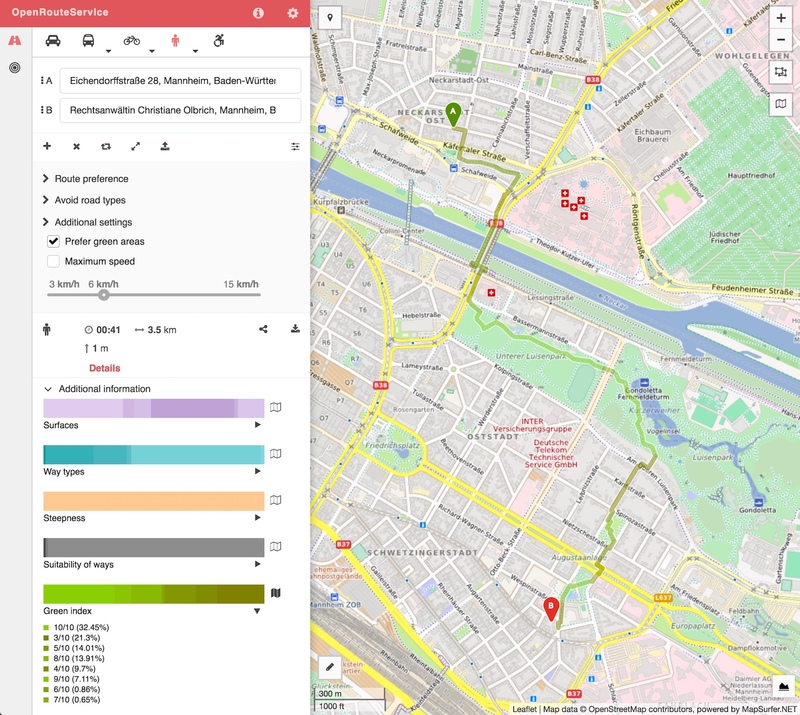 The calculated green index has also been added to the enhanced visualisation options for the route segments on the Web client. 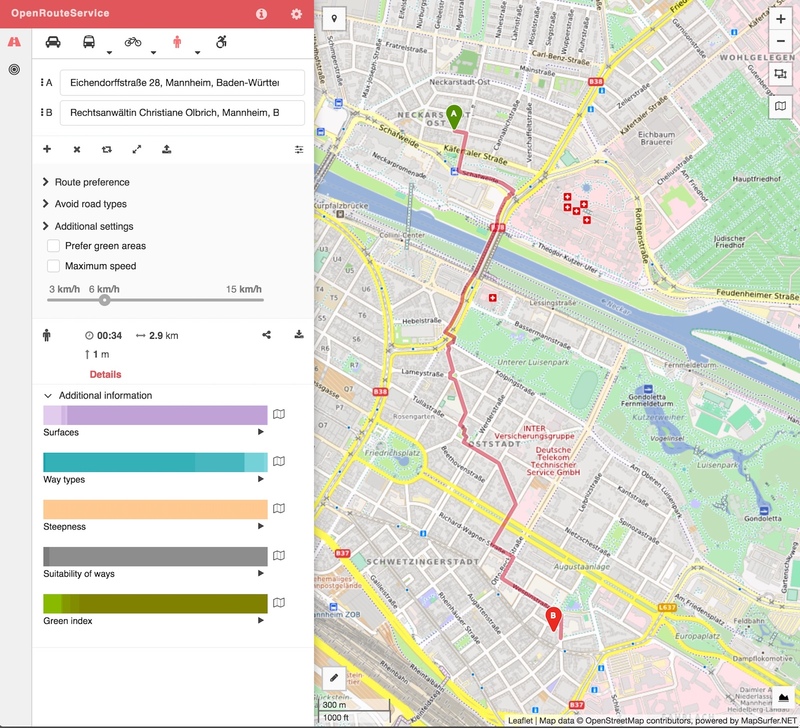 This allows the user for different categories (like surfaces, way types, steepness, suitability and now also for the green index ) to interactively overlay for each route segment the specific values on the current route using adapted colour codings.